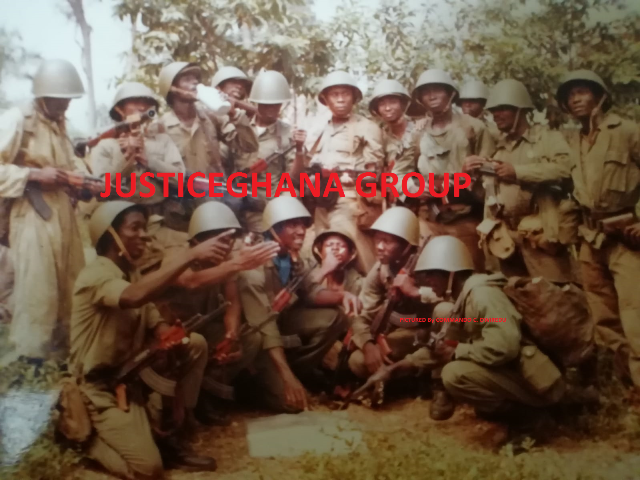 On 16th January 2012 I led the most senior lawyers of the Civil Division of the Attorney-General’s Office, of which I was then the Attorney-General, to the High Court (Commercial Division) Accra to seek an adjournment to enable me argue an application for leave to amend by substituting an amended Writ and Statement of Claim for the Attorney-General’s amended Statement of Claim. The High Court today granted the pursuant leave to amend the amended Writ and Statement of Claim and fixed 26th March 2012 for continuation. I have, however, been very disappointed by the level of legal representation of the Republic in Court. In preparing the application for the amendment by substitution which was just granted, I had discussed issues of strategy with the Solicitor-General, two Chief State Attorneys, and the Senior State Attorney who had been handling this case with Mr. Samuel Nerquaye-Tetteh, the Chief State Attorney responsible for the case. We were to apply to join two foreign registered companies who were the principals of Alfred Agbesi Woyome who themselves had no subsisting and enforceable contract with the Government of Ghana under the Constitution and laws of Ghana. Time is of the essence now otherwise the Republic would be perceived as unnecessarily delaying the case. It is very important for the Republic of Ghana that these foreign parties are joined to the action now so that the Constitutional and contractual basis of the whole transaction with Alfred Agbesi Woyome and his alleged principals would be settled once and for all. How could Alfred Agbesi Woyome, for instance, as an agent be paid money pursuant to a transaction with his principals who are foreign companies without Parliamentary approval as required under Article 181(5) of the Constitution? Indeed, the Alfred Agbesi Woyome and Austro Invest are fighting over the share of the GH¢51 million in another High Court. I had directed the Civil Division to join in contesting that action by raising Article 181(5) of the Constitution before I was relieved of my position. I do not know whether this has been done. The Republic could retrieve half of the GH¢51 million for the Republic from success in that suit alone. What the public does not know is that in November 2011 the Solicitor-General, Mrs. Amma Gaisie, supported two memoranda written by the Senior State Attorney, Cecil Adadevoh, and the Chief State Attorney, Mr. Samuel Nerquaye-Tetteh, to me as Attorney-General to authorize the withdrawal of the pending case by the Republic in the Commercial High Court against Alfred Agbesi Woyome to enable the Republic pay a further over GH¢9 million to Alfred Agbesi Woyome in final settlement of interests in the case. I refused and ordered them to continue with the case in court. The Solicitor-General and the Chief State Attorney, Mr. Nerquaye-Tetteh, continued to pursue me by memo to settle the interest as late as December 2011 but I refused. The Daily Post newspaper and the other NDC newspapers condemned me for refusing to withdraw the case and pay the over GH¢9 million additional interests. See the Daily Post publication of 6th January 2012 calling for my removal from office. In the same publication it published the memorandum of the Senior State Attorney and the Solicitor-General urging me to withdraw the action for settlement of the interest only. Mr. Nerquaye-Tetteh’s memoranda urging me to withdraw the case for settlement was the only ones not leaked to the Daily Post and its allies in the NDC press. But the Republic of Ghana has an excellent case to have a declaration of nullity against the Writ and processes filed by Alfred Agbesi Woyome against the Republic of Ghana beginning 19th April 2010. The quality and commitment of legal representation for the Republic is very important for the success of the Republic in retrieving this gargantuan money in the face of the continued strong support from a politically immature and ignorant section of interest groups for the Government to overlook the loot. Now is the time for every patriot to stand up and defend probity and accountability by being vigilant. Remember that some of our compatriots died at the firing squad accused of just using their positions to take meager bank loans. GH¢51 million paid without any basis in contract or other legal right should engage the attention of every patriotic citizen to ensure a proper conduct of the case and a refund of the money to the Republic. I believe the Republic of Ghana has an excellent case for a refund! If you share my belief, then, join me as a citizen vigilante in this case.